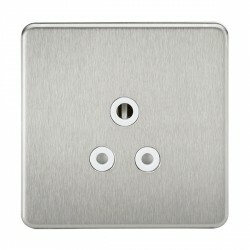 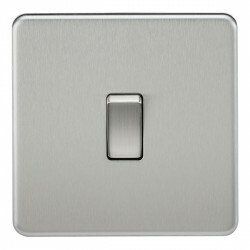 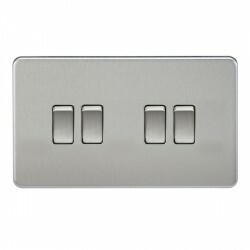 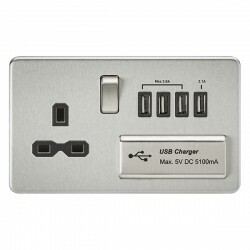 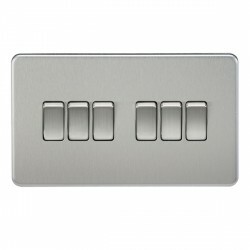 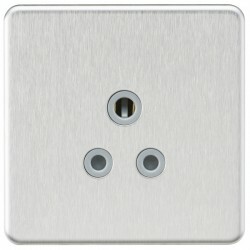 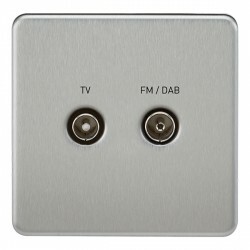 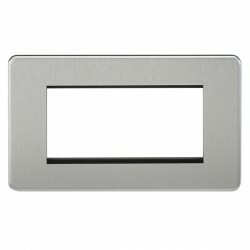 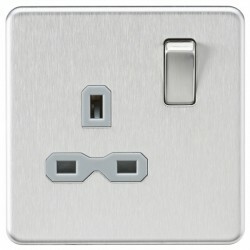 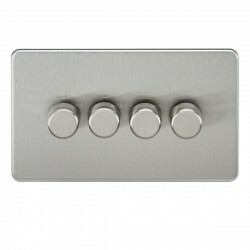 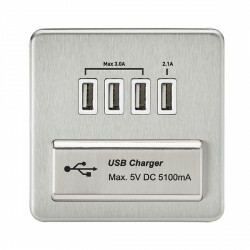 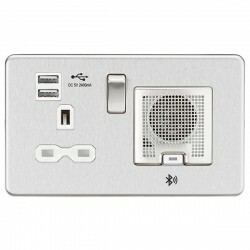 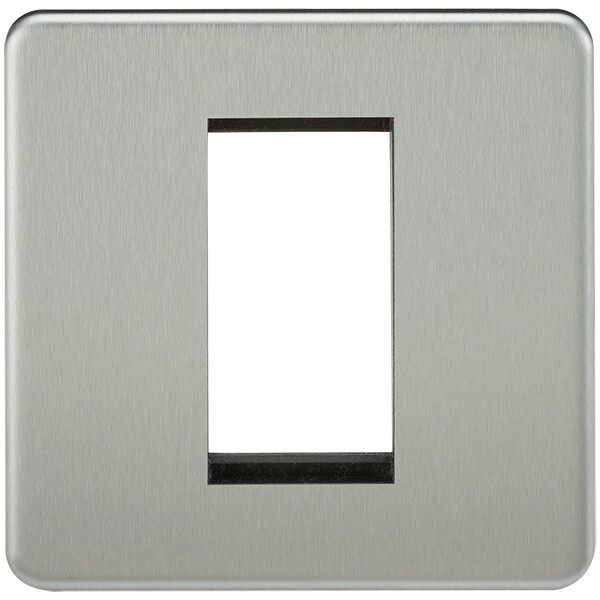 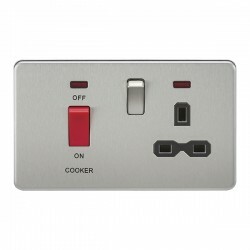 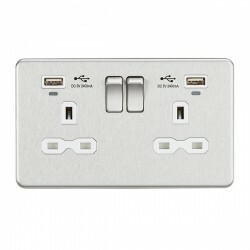 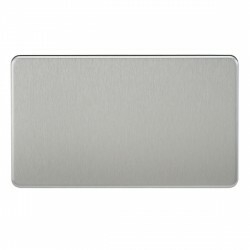 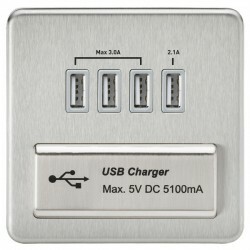 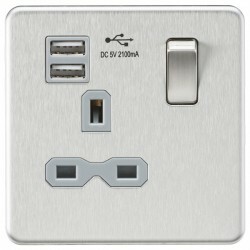 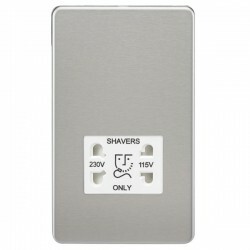 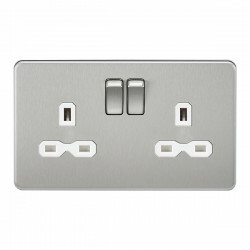 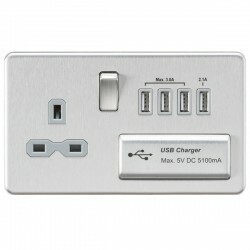 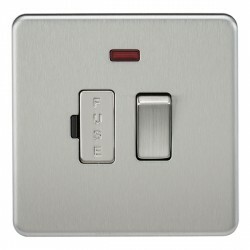 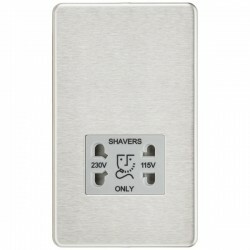 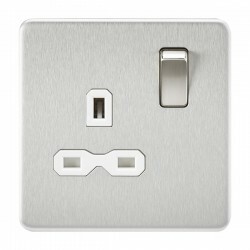 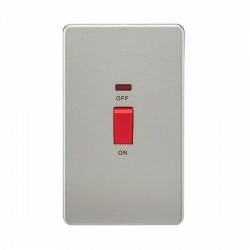 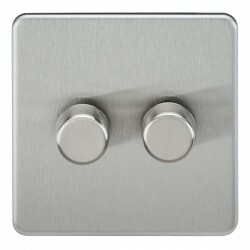 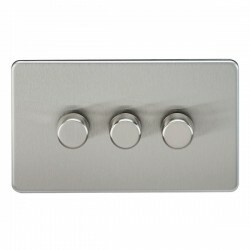 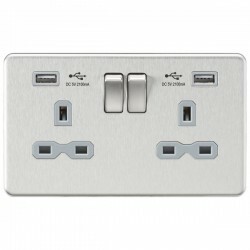 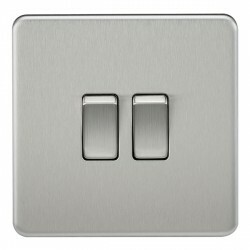 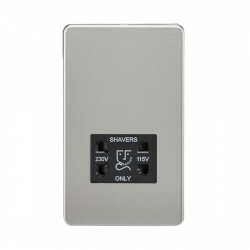 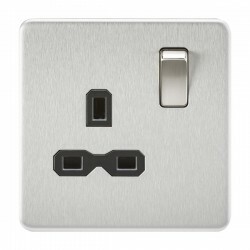 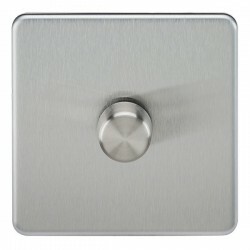 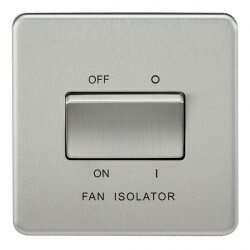 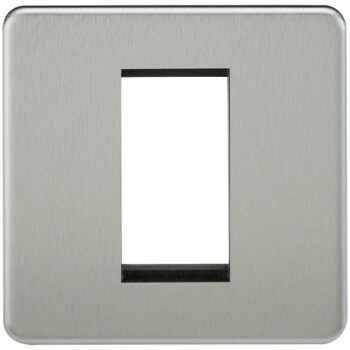 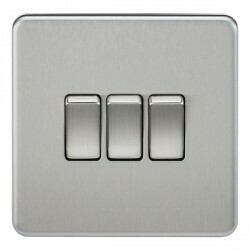 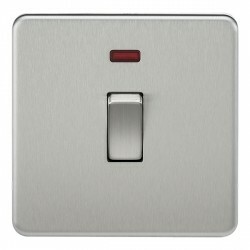 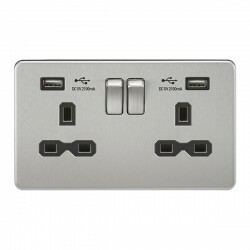 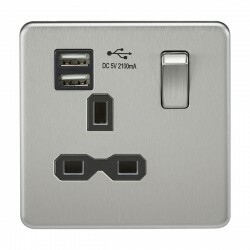 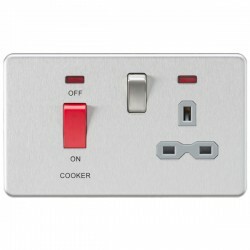 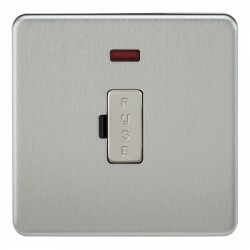 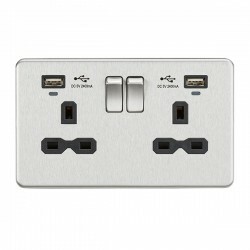 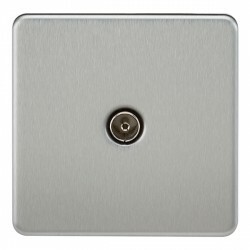 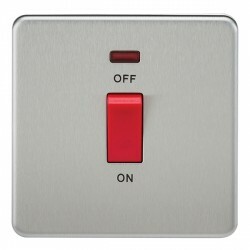 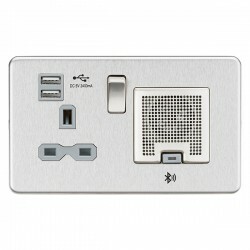 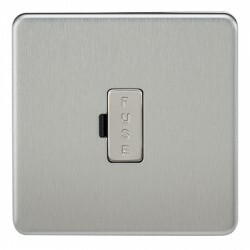 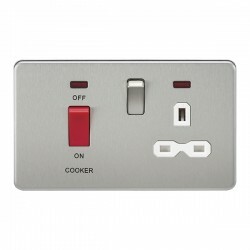 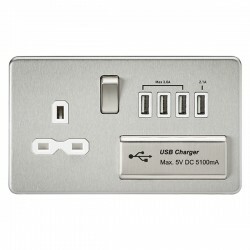 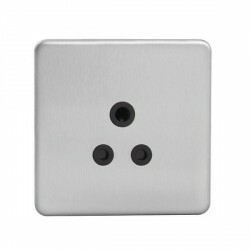 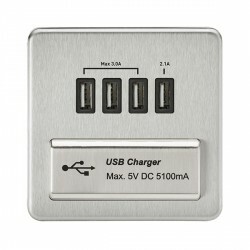 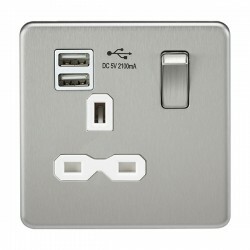 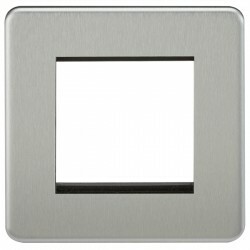 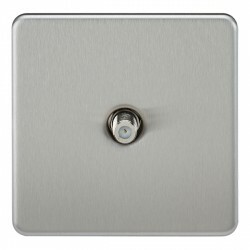 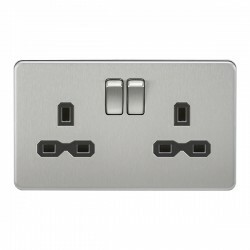 Knightsbridge Screwless Brushed Chrome 1 Gang Modular Faceplate at UK Electrical Supplies. 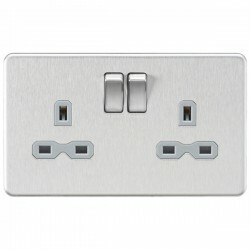 This sleek 1 Gang Faceplate (SF1GBC) offers a unique combination of Knightsbridge style and modular versatility. 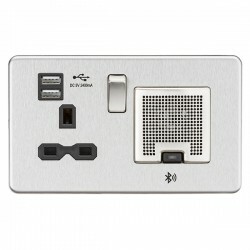 It can accommodate a wide variety of Euro modules (sold separately), including TV, RJ45, HDMI, USB, and more. 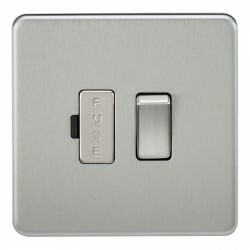 It features premium grade steel construction, an attractive Brushed Chrome finish, and the smooth appearance of Knightsbridge’s Screwless collection.